Bankruptcy has been a part of our legal system since the Founding. Article I of the Constitution explicitly grants Congress the power to create uniform Bankruptcy laws. Now it is true that originally bankruptcy was designed to benefit creditors but today the process has become a much more consumer friendly. I will say that the 2005 Bankruptcy and Consumer Protection Act or BAPCPA took us back a step or two but overall bankruptcy is still consumer friendly. I mention these things specifically to counter any thoughts you may be feeling that there is shame in filing bankruptcy. So long as you honest you should not feel bad for discharging your debts. Bankruptcy is a part of our American financial and legal systems. First, creditors such as banks, credit card companies and mortgage companies factor the potential of a consumer filing bankruptcy into their decision to extend credit. This calculation figures directly into how much you are charged in interest. Think about that, when you pay interest to a creditor you are already paying it for the risk of you filing bankruptcy. Second, you are much more productive to society as a whole when you are not crushed under overwhelming debt. You have no incentive to work hard or innovate if you risk paying it all to your creditors. Returning you to productivity is so much better for everyone rather than struggling with debt. Even if that does not persuade you that filing bankruptcy is not something to be ashamed of, you can read this blog post where I list some of the famous and infamous people who have filed for bankruptcy. Bankruptcy is here for a reason – use it! I only recommend bankruptcy when a client is unable to handle their debts any other way. I have yet to meet a client who just doesn’t want to pay their debts. Often the opposite is true. The client has tried and failed to pay off his or her debts, only coming to see me when they are dead broke. Everyone who has come to my office for help has wanted to pay their debts but just can’t. This is where bankruptcy comes in. The first thing to understand about bankruptcy is that it is not a single process. Bankruptcy consists of various chapters, the most common being Chapter 7, each with its own benefits and detriments. I want to explain three concepts that apply to all chapters: dischargeable debts, bankruptcy exemptions and the automatic stay. Filing for bankruptcy would be pointless for the most part if your debts were not discharged. Congress in its wisdom decided however that some debts are never dischargeable, regardless of the circumstances, and that some debts are dischargeable upon meeting certain requirements. I tell clients that all debts are dischargeable unless specifically excluded. Let me give you some examples of both types of dischargeable debts. An example of a debt that is never dischargeable are debts in the nature of alimony and child support. If you are divorced and you are obligated to pay alimony then you can never have it discharged no matter what chapter you file. Another example is a personal injury claim for physical harm caused by the debtor while intoxicated. On the other hand, some debts are by default non-dischargeable but if certain requirements are met then the debt can be discharged. Student loans and income tax liabilities are two great examples. Most people assume that if you owe on a student loan or owe the IRS that those debts are never dischargeable but that is not true. In Maine, debtors who prove undue hardship if he or she is to repay your student loans can have the debt discharged. One last thing about dischargeable debts. Some debts may be dischargeable or non-dischargeable depending on what chapter you file. Property settlements in divorce comes to mind. In Chapter 7 these debts are nondischargeable but in Chapter 13 such debts are dischargeable. So care has to be taken to choose the proper chapter to get the most bang for your buck. Exemptions are state laws that protect a certain minimum level of assets from creditors’ claims. When the Bankruptcy Code was updated in the late 70’s, each state was given the option whether to apply Federal and or state law when a resident files bankruptcy. Maine opted to apply just state law and so when you file you look to state law regarding exemptions. Maine exemptions can be kind of stingy but there are several big ones that help debtors. A Maine debtor can shield up to $47,500 in equity in his or her personal residence (if married this can double to $95,000) and $5,000 in equity in a car or truck. Retirement assets are exempt up to a reasonable amount necessary for the support of the debtor and debtor’s family. If an asset is wholly exempt then the debtor will be able to retain the asset. If the asset is only partially exempt or not exempt then you may have to surrender it for sale by the trustee (in Chapter 7) or pay the value of the non-exempt portion to the trustee (in Chapter 13). Once the trustee has sold the non-exempt asset or receives the value from the non-exempt portion, he will pay your creditors a portion of their claim. Very rarely do creditors receive the full value of their claim. The dual goals of Bankruptcy is to discharge as much of your debts as possible while retaining as much of your assets as possible. Hiring a good bankruptcy attorney is especially helpful when dealing with exemptions. If you have no immediate need to file bankruptcy, say to stave off a foreclosure, you can work with your attorney to engage in exemption planning. There is nothing wrong in converting non-exempt property to exempt property. You could take money from your bank account, normally non-exempt, and buy new tires for your car, exempt up to $5,000 in equity. Also you fix your furnace or roof as your home is exempt up to $47,500 in equity. The automatic stay prevents creditors from taking any action to collect on your pre-petition debts and allows you breathing room while you are in Bankruptcy. So long as you are in bankruptcy the automatic stay protects you from creditors’ attempts to collect a debt. I have to add that there are exceptions where the automatic stay may not apply or may lapse but generally speaking the stay will apply for all debtors. 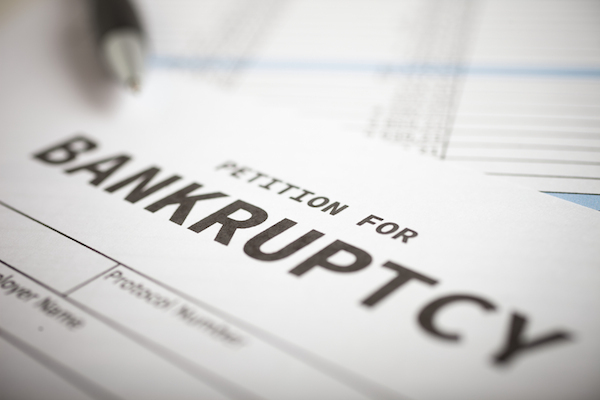 ​To file for bankruptcy, you will need to file a petition in bankruptcy court. The Maine Bankruptcy Court is located in Portland and Bangor. The petition is a packet of forms, almost like a 1040 tax return, in which you list all of your assets and creditors and disclose your income and expenses. Honesty is required through this process and if you are not completely open and forthcoming on your petition then you risk losing the ability to get a discharge and may even face criminal charges. In addition to the petition, you will be required to complete a credit counseling course. This is often a mere formality but if you do not obtain the course in time you cannot file for bankruptcy. The internet is full of companies who provide this service and it takes about a half hour at most to complete it by phone or on the internet. Once you have complete the petition and credit counseling then you can file for bankruptcy. When you file the automatic stay arises and your creditors need to cease collection action against you. I highly recommend you keep a list of any calls you receive from creditors. If the creditor knew you filed bankruptcy you may be able to sue them for violating the stay and collect damages. About a month after your petition is filed you will be required to attend a “meeting of creditors” where you will be asked by the trustee questions about your case. The trustee is a private individual who is tasked with managing your case. The trustee is not a judge and does not represent the court. The trustee’s job to make sure you have filed the petition in good faith and to investigate your petition to ensure you have listed all of your assets, liabilities, income and expenses. After the meeting of creditors, normally, you will not have to appear again. Depending on the chapter, after a certain amount of time you will receive a discharge from the court for all of your dischargeable debts. Your only other requirement is to obtain a financial management course. The financial management course takes a bit longer than your credit counseling but you can easily find a company who offers the service. Once you have your discharge, creditors whose claims were discharged may not try and collect from you. If a creditor tries to collect on such a debt you may be able to reopen your Bankruptcy case to request the court find the creditor in contempt; if the court finds a creditor has violated your discharge you may be awarded damages, attorneys fees and punitive damages. I am now going to discuss Chapter 7 and 13 in more detail. Both chapters are the most common for consumers and so I will only discuss them. Filing Chapter 7 is the most common and easiest route to take in bankruptcy. Debtors who is the most basic and simple form of bankruptcy. The whole process takes about 6 to 9 months to complete, depending on the complexity. In most cases, you will be able to keep your house and car by continuing to make payments on them. The only limitation on filing bankruptcy is the so called “means test” which prevents individuals who have primarily consumer debts and who earn too much from filing under Chapter 7. This does not mean that if you earn over the median income in Maine that you cannot file Chapter 7, it does mean that you should speak with me to “crunch” the numbers and see if you qualify. Even if you qualify for Chapter 7, there may be other reasons not to file under this chapter. If you have assets in excess of allowable bankruptcy exemptions, the trustee (called a Chapter 7 Panel Trustee) will require you to turn them over to be sold to pay creditors. You might also have debts that are non-dischargeable, such as student loans or tax debts. These non-dischargeable debts may be better handled through a Chapter 13, where you can possibly pay the debt over time. Chapter 13, called the “wage earner plan”, is restricted to individuals with regular income. If you get a W-2 or own a small business with regular income then you qualify. Most clients want to file bankruptcy and get it over with but Chapter 13 does have some real advantages. If you are behind on your mortgage you can cure any arrears or strip off underwater second mortgages and liens. The reason that people favor Chapter 7 is simple. A Chapter 13 filing requires you to make monthly payments for between three to five year. This is done through the plan. The Chapter 13 plan is a complicated thing to explain and so I will just touch on it briefly. If you file Chapter 13 then you need to propose a plan to pay creditors. At its most basic, you are required to pay the trustee an amount equal to your disposable income. Or the excess of your income over your necessary expenses. If the plan meets the requirements of the law and there are no objections it will be confirmed. Once confirmed, the plan is legally binding on you and your creditors. After that you simply need to make monthly payments to the trustee until the plan is complete. Upon completion of the plan, any of your remaining dischargeable debts are wiped out. There is one limitation to filing Chapter 13, your debts cannot exceed certain limits. As of April 2016, your unsecured debts cannot exceed$394,725 and your secured debts cannot exceed $1,184,200. Unsecured debts are things like credit cards or a business line of credit. Secured debts are things like a home mortgage or car loan where the creditor can repossess the collateral. As I said earlier, the process of filing bankruptcy is complicated. People who file without an attorney put their financial health at risk. If you do not understand how to calculate your exemptions. If you do not know which debts are dischargeable. Than you are making a big mistake filing bankruptcy on your own. I own a library of books on bankruptcy and I regularly attend bankruptcy law seminars. I still learn something new every day! Do yourself a favor and call my office if you are considering bankruptcy. I can explain the process and advise you on the pros and cons of filing. Initial consultations are free. Don’t be penny wise but pound foolish! Filing for bankruptcy is not like fixing a leaky faucet, you cannot learn everything on Youtube. Failing to understand the nuances of bankruptcy can lead to real problems. Make the smart choice and call my office today!